Sometimes a pen is just a pen. And sometimes a pen looks just like another pen, a rollerball pen, a pen made by a famous company, but when you take that pen in your hand and uncap it, you discover that it’s actually a fountain pen with a certain chariot logo stamped on its nib. 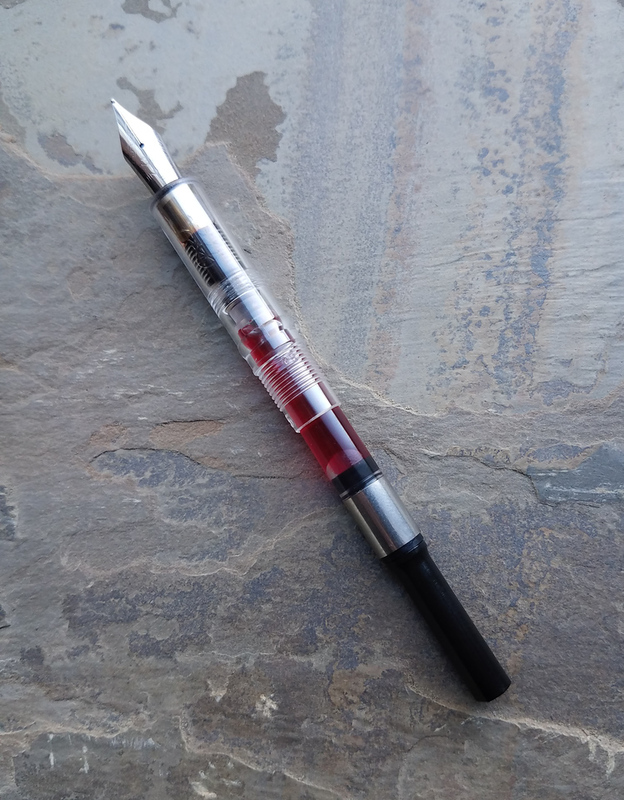 Since this is a clone pen, I’m not going to bother commenting on the design aspects of the Jinhao 991 other than to say it’s a plastic pen with a metal clip and a steel nib. 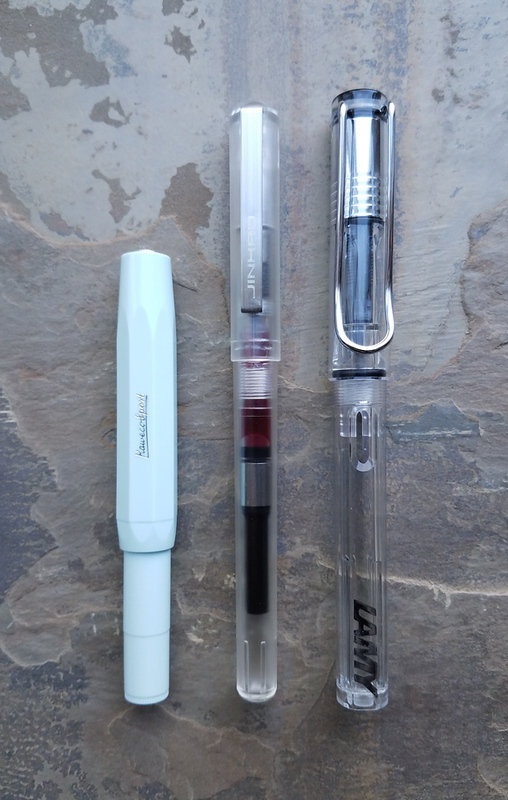 The proportions of the pen are long and slim, and it’s comparable in size to the Lamy Safari. The 991 is available in a variety of colors, both solid and translucent. I chose the clear frosted version. The plastic feels nice and sturdy, and I didn’t find any bubbles or blemishes other than some faint molding marks. There were no cracks of any kind when I received the pen, nor have any cracks appeared in the several months since. The cap snaps on and off from the barrel, and it can be easily and securely posted. 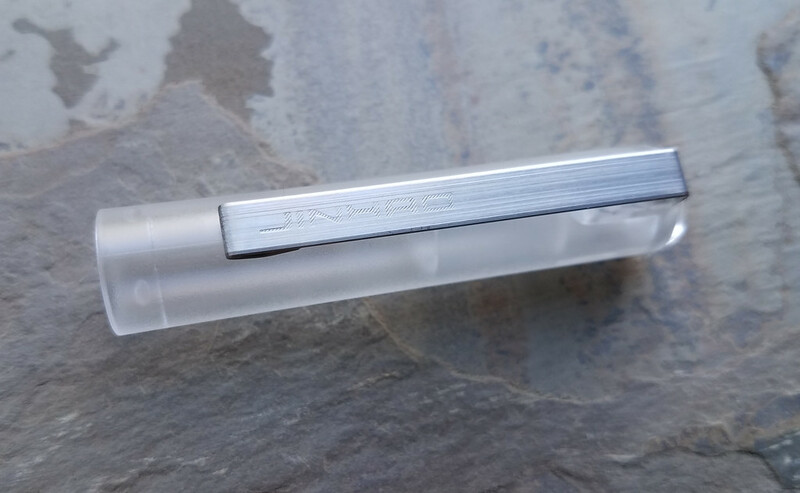 A “Jinhao” wordmark is stamped on the clip. 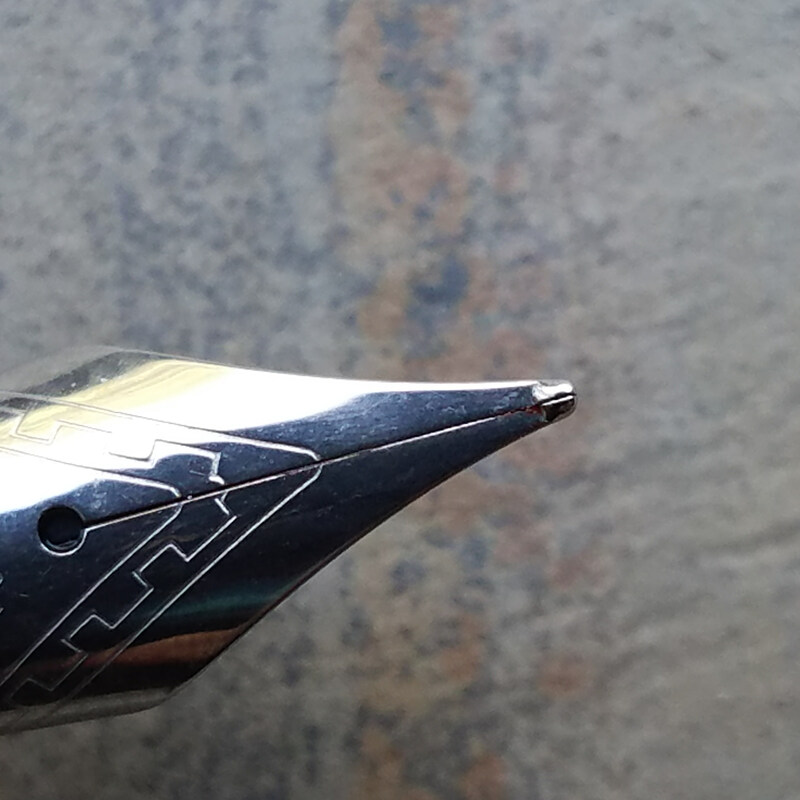 There’s a liner within the cap to help keep the nib from drying out. 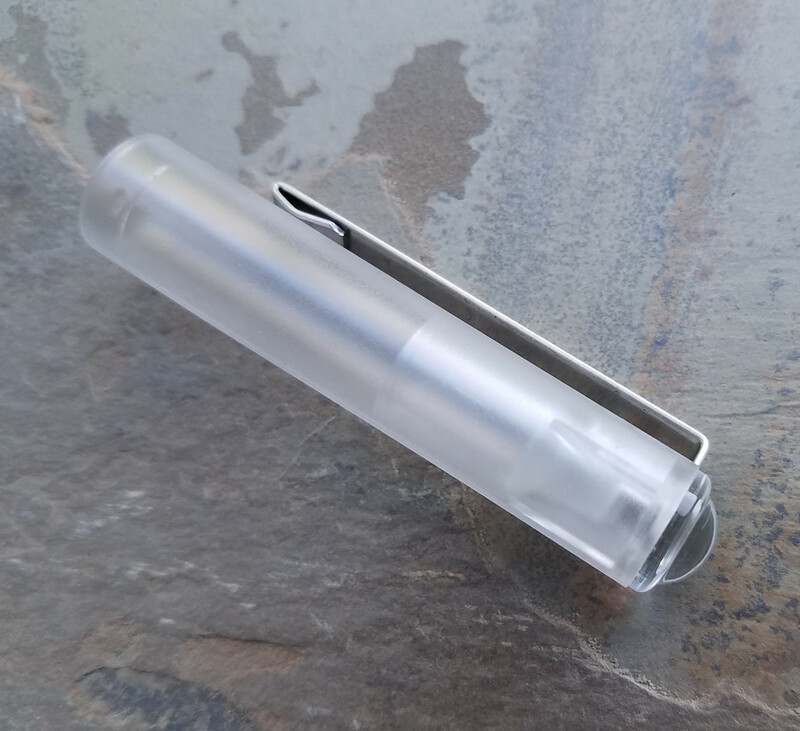 The 991 is a cartridge/converter pen that comes with a piston-style converter. 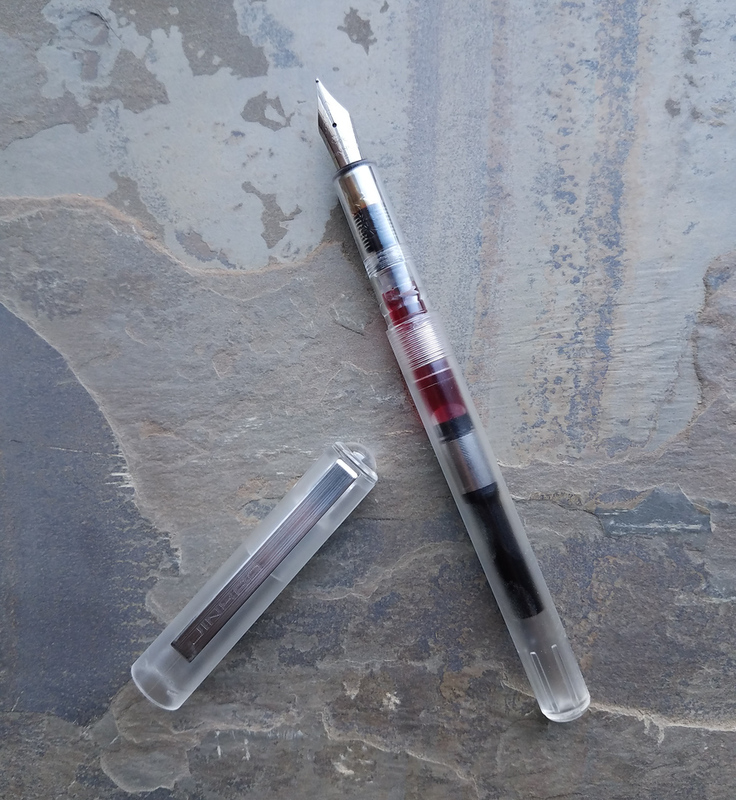 The included converter appears to be standard international size, but I can’t confirm that as I haven’t tried converters from other brands in this particular pen. Jinhao converters have performed well for me, and this one is no exception. There are no metal parts in the section or barrel and the barrel is watertight, so the 991 is a candidate for an eyedropper conversion. The section is slim, on par with the Pilot Metropolitan. 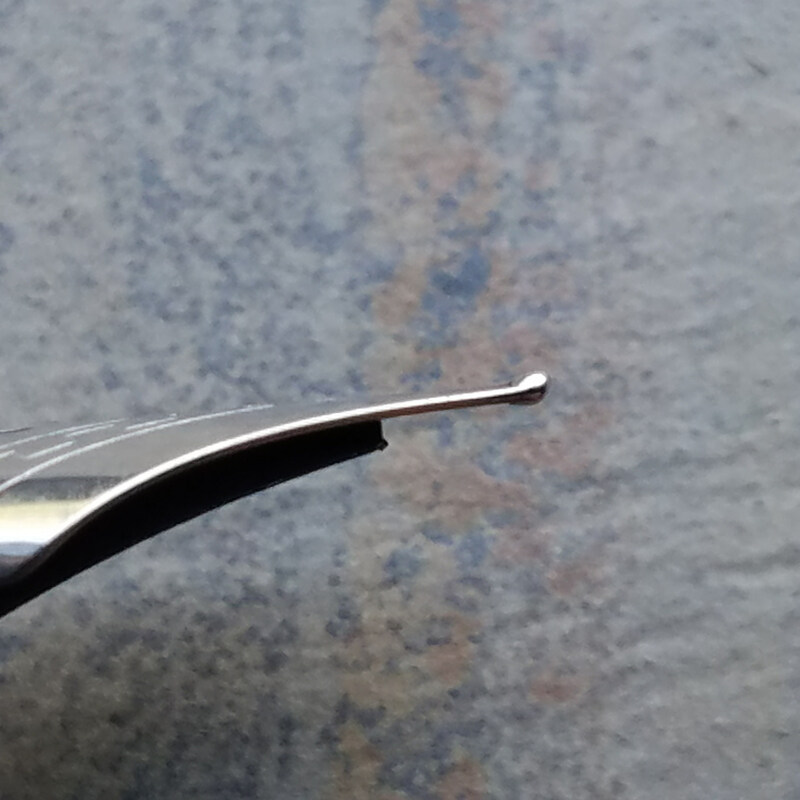 It’s round in shape and has a slight lip where the nib meets the feed. The section is generous in length and smooth overall, so it should be suitable for those who like to hold their pens higher up. As someone with a standard tripod grip and small hands, I found the 991 to be very comfortable, and nicely balanced despite its light weight. When I use it unposted, as is my preference, the pen is the perfect length. 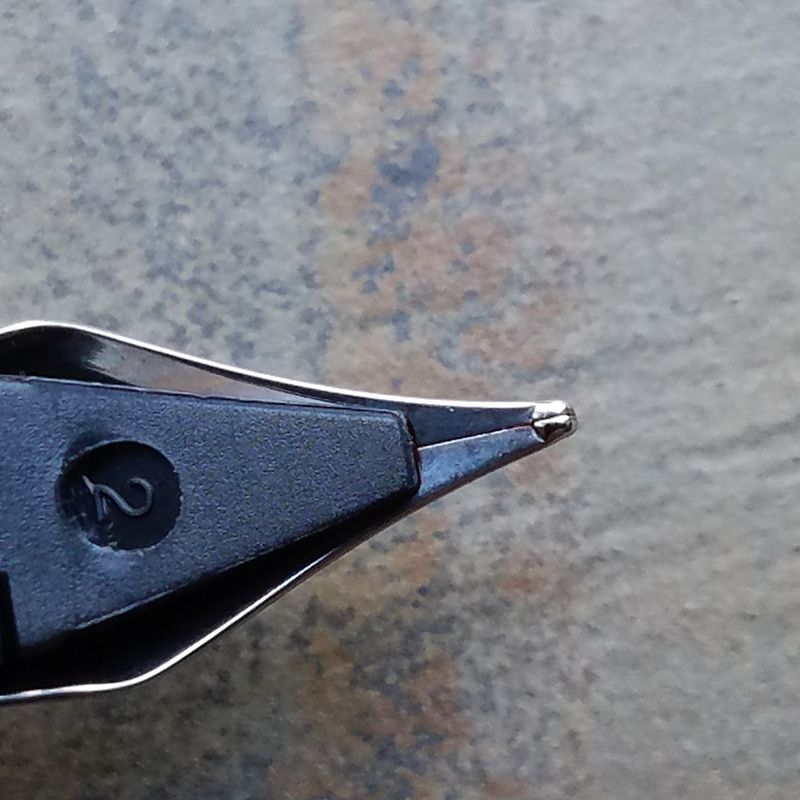 Let’s discuss the business end of the pen: the nib. The 991 shares the same nib as the 992, and I’m happy to report that the nib on this 991 is just as good as the ones on the 992s I’ve tried. It might be a steel nib on a cheap pen, but it’s a lovely writer: smooth, with excellent ink flow. 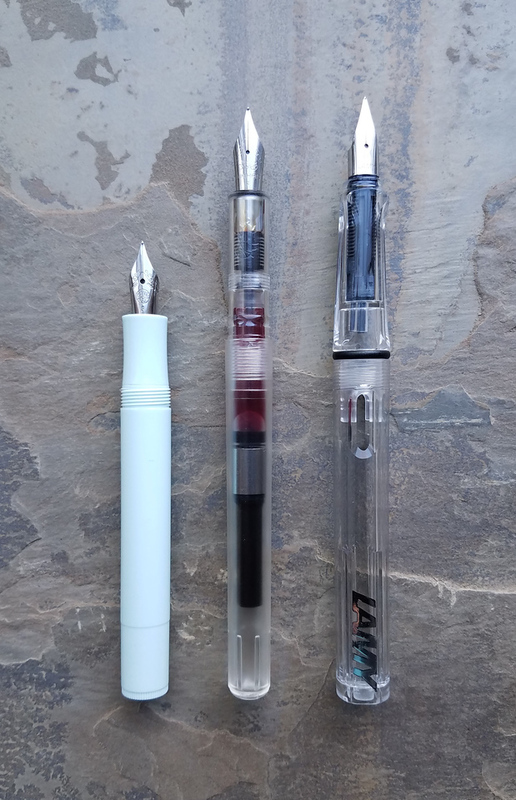 The nib comes in two sizes, EF and F. The F nib on my pen produces a line between a Japanese and Western fine, with no line variation due to the round tipping on the nib. While doing research for this post, I discovered that there’s another version of the 991 with a hooded nib. If you have this hooded 991, I’d love to hear your thoughts about it. I purchased my 991 on eBay for $3.60, including shipping. Suffice to say, the nib itself is worth the price of admission. The JINHAOOOOOOOOOOOO 991 is howlingly good nib trapped in a meh body. 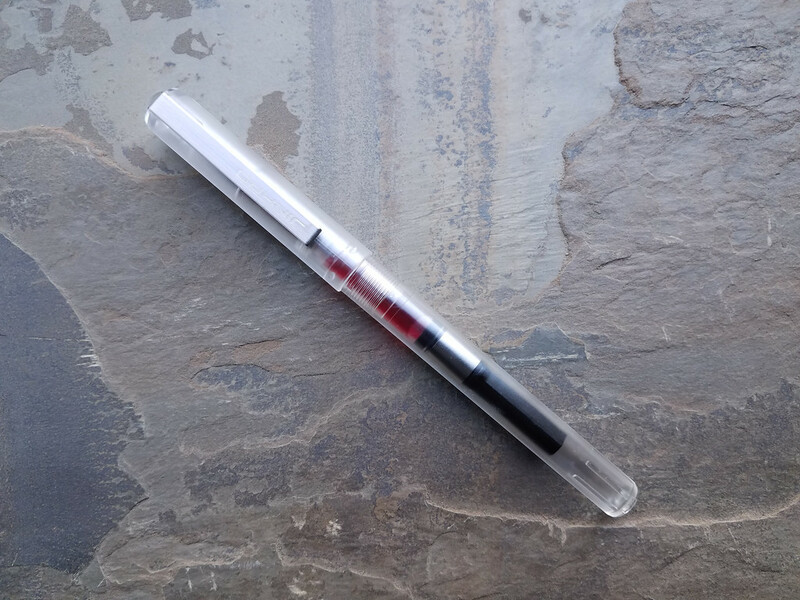 If you can get over the fact that it’s a clone, it’s a nice, all-purpose pen, suitable for writing a long letter, loaning to a friend, or trying out some temperamental inks, at a price that won’t make you sad if something bad happens to it. 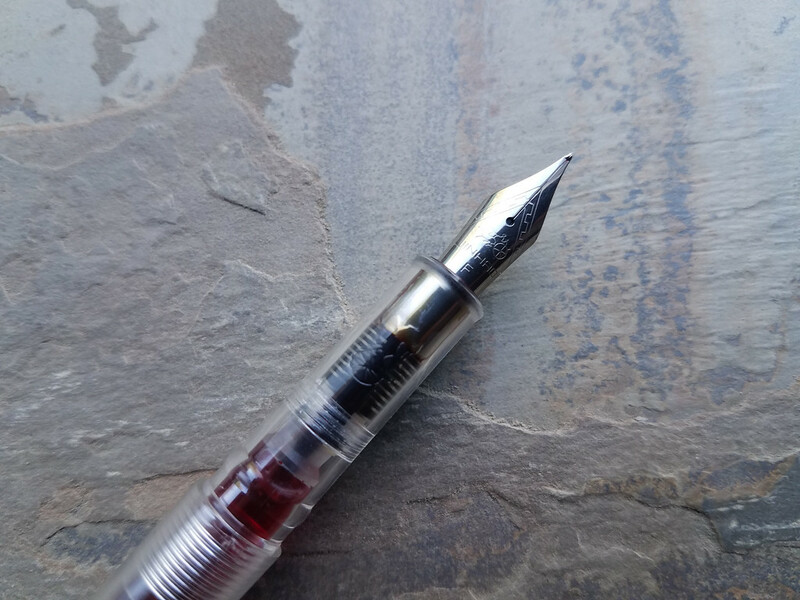 Dear Jinhao, if you’re reading this, please make a pen with the same nib and feed as the 991, and put it inside an original design of your own creation. All the pieces are there, just waiting for you to make something special. This Jinhao 991 was paid for with my own funds. My opinions on this blog are always my own. Please see my review ethics statement for more details. It’s a bit frustrating isn’t it? 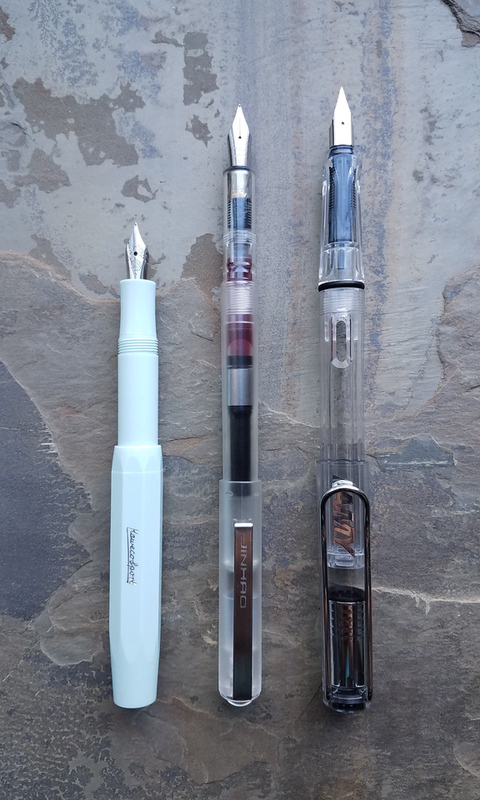 These guys obviously know how to put together some really good budget pens, but just seem trapped in the idea that copying everybody else’s designs is the best way to go. If only they’d do something original, like you, I think they would be on to an absolute winner. Thank you for this detailed look at this pen. Like the way you shout out the brand name! As for the design ethics of Jinhao, I also want to yell most of the time. Sorry to hear of it. My 991 is still working great. Perhaps some other 991 owners can chime in with their experiences.